MingmaNuru Excursions Pvt. Ltd.Peak Climbing Archives - MingmaNuru Excursions Pvt. 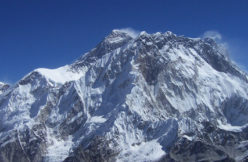 Ltd.
Pisang Peak offers good scope for exploration. 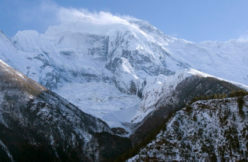 The western flank of the mountain is guarded by a hanging glacier and offers a considerable challenge. Because of huge rock slabs, the western end of the ridge is also difficult to climb. A German expedition made the first ascent of Pisang Peak..
Mardi Himal, situated less than 15 miles from Pokhara, is the most southerly peak of the Annapurna range. It is the lowest and the least climbed or visited peak. Photographs of Mardi Himal taken in 1953 by Basil Goodfellow first drew the attention of western climbers, and the mountain received.. 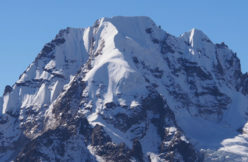 The first ascent of this peak, formerly known as Fluted Peak, was made by Wilf Noyce and David Cox on its North–East Face and the top section of the East Ridge. Singu Chuli is the first summit on the long ridge down from Tarke Kang (Glacier Dome) which separates the.. Situated in the heart of the Annapurna Sanctuary, the attractive Tharpu Chuli is part of the ridgeline located south of the glacier dome. It includes Singu Chuli and acts as the central divider between the semicircles of peaks enclosing the Sanctuary. Tharpu Chuli offers an interesting climb and a spectacular.. 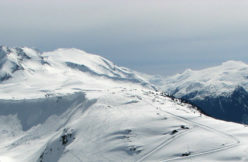 The Lobuje Mountain consists of two different summits, viz. East and West with heights of 6,119 m and 6,145 m respectively. A continuous ridge connects them but there is still a sharp gap and a considerable distance between them. 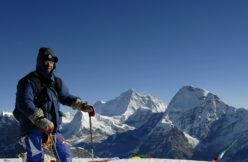 The East Peak is recognized as a trekking peak, whereas the..
Island Peak is so named because it stands nearly in the middle of the great Lhotse Basin, and as a result, the views from the summit are spectacular. To the north loom the immense south faces of Lhotse and Lhotse Shar; the big west wall of Cho Polu and Baruntse.. 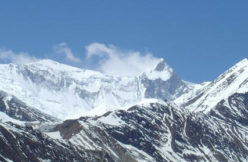 Formerly known as Ganja La Chuli, Naya Kanga rises to the west of Ganja La and is a popular but difficult mountain to climb. The normal route to this peak is via the snowy northeast ridge. No one knows who was the first to summit. 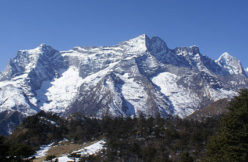 The most important reward of..
Chulu West is part of the Manang Himal which is included in the larger Damodar Himal. 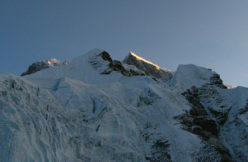 The eastern limit runs south from Chako and Peak 6687 in a north-to-south direction along the Hunlung Khola, Nar Khola, and Phu Khola. 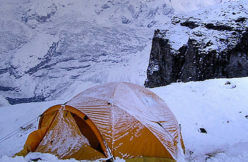 To the south, it is bounded by the Marsyangdi Khola and..
Mera Peak & Island Peak is ideal for those who desire the opportunity to climb two of Nepal's trekking peaks: Mera, at 21,247' the highest trekking peak in the Himalaya, and the 20,305' Island Peak (Imje Tse). 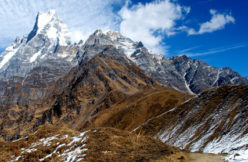 You will trek through both the remote Hunku Valley and the beautiful Khumbu..